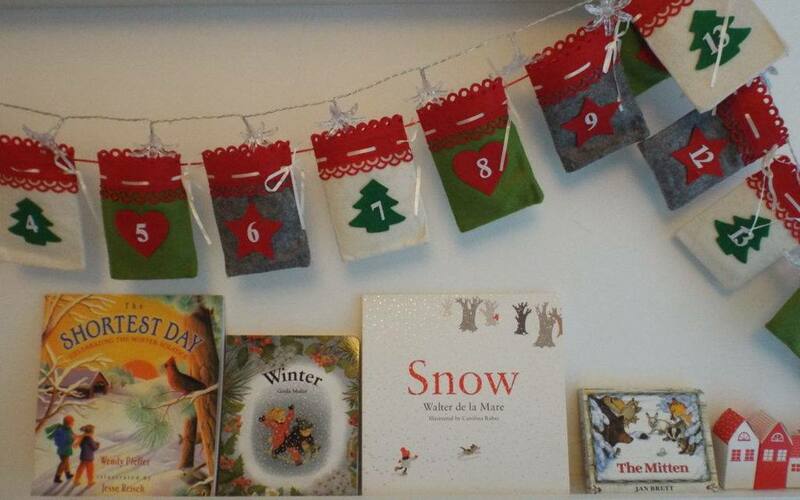 Advent calendar to colour: I bought those 2 Usborne Christmas book 3 years ago and we still use them! The Shortest day: my favourite so far, probably more for children 5 and older. There are activities to do to understand the solstices. Snow: the poem from Walter Delamare is beautiful, the illustrations, mainly in black, white and red are beautiful too. However, I was very disappointed that they managed to add 2 full pages about Santa Claus. That part could have been skipped as the poem is about the snow! The mitten (we also have the hat from the same author). I use this book as a support of many activities and even yoga sessions! And you? What are you reading to your children?